World Rugby has announced the dates for the 10 global destinations that will comprise the 2016-17 HSBC World Rugby Sevens Series, the first season following rugby sevens' Olympic Games debut. The 2015-16 series was the biggest and best to date and, with six different winners for the first time, it was also the most competitive and compelling as Fiji claimed the title. The series' winning blend of star players, breath-taking action, iconic destinations and festival atmosphere proved to be a hit with fans, broadcasters and commercial partners alike as the series reached, engaged and inspired audiences in record numbers. The expanded series was the best-attended with 715,000 fans, the most-widely viewed, with 6,000 hours of action broadcast to fans in more than 100 territories for the first time, and the most socially-engaged with 61 million video views and a 250 per cent audience increase across all platforms. As rugby sevens prepares to excite on sport's biggest stage at Rio 22016, anticipation is high that the 2016-17 HSBC World Rugby Sevens Series will set new standards on and off the field as World Rugby and its host unions look to further enhance broadcast, fan experience and innovation. With sevens' popularity at an all-time high ahead of Rio 2016, the 2016-17 series also looks set to reach, engage and inspire new audiences and fans as rugby's first Olympians in 92 years return to the series to showcase their talents in some of the world's best stadia across some of the world's most iconic cities. The 2016-17 series retains the same schedule as this season, kicking off in Dubai on 2-3 December, visiting 10 cities across five continents before concluding in London on 20-21 May. World Rugby Chairman Bernard Lapasset said: "As we look ahead to a game-changing Olympic Games in 72 days, we can reflect on what will be remembered as the biggest and best HSBC World Rugby Sevens Series to date. "The compelling and highly-competitive action has captured the imagination of fans around the world in record numbers in stadia, on broadcast and in conversation. I would like to thank all the teams and fans from around the world for playing their full role as we build towards the first series following rugby sevens' Olympic Games debut." 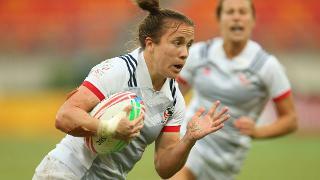 Incoming World Rugby Chairman Bill Beaumont said: "Rugby sevens is going from strength to strength and is set to be a hit at the Rio 2016 Olympic Games where inclusion on sport's biggest stage will project our sport and its sevens stars to new audiences. "At the heart of the success story is the HSBC World Rugby Sevens Series. It's record-breaking blend of compelling, competitive action, global iconic destinations and festival atmosphere continues to prove a hit with fans, broadcasters, host cities and broadcasters alike. HSBC Global Head of Sponsorship and Events Giles Morgan added: "In a pivotal year for rugby sevens, HSBC as a long-standing and proud partner of the game, has been working closely with World Rugby to capitalise on the opportunity.